Hello. This is the page for Andrew Lion, a Bass Player/Composer and occasional Podcaster. Thanks for visiting. 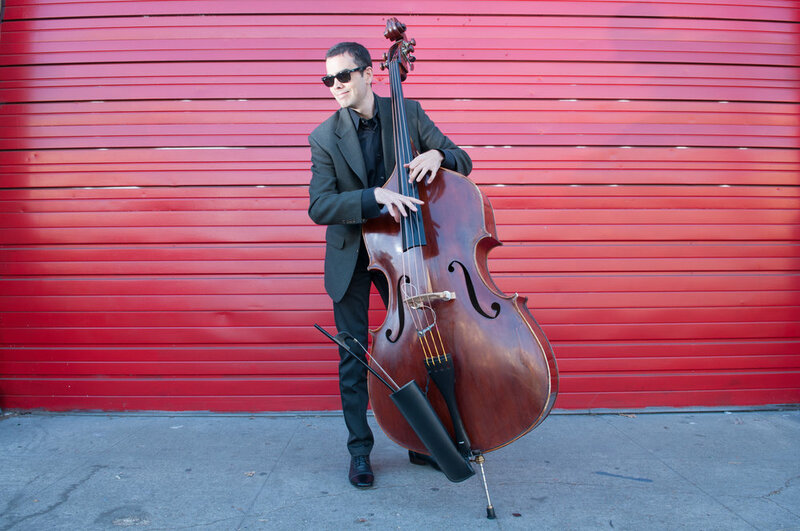 When he is not co-leading Negative Press Project, Andrew performs as a freelance bassist in Jazz, Pop and Rock settings. Occasionally a touring sideman with travels across West Coast and East Coast venues, Andrew Lion is a member of Jeff Campbell's band (Jeff Campbell, Static and Surrender), with a featured performance on national television with ABC's Jimmy Kimmel Live! Along with Ruthie Dineen, much of Andrew’s artistic energy is occupied co-leading Oakland based, Negative Press Project- a Downbeat four star review recipient for its Ridgeway Records recording, ‘Eternal Life’. With an emphasis in Jazz Studies and Performance, Lion is a graduate of Berkeley's California Jazz Conservatory with a Bachelor of Arts.